What are the Salsa Workshops? 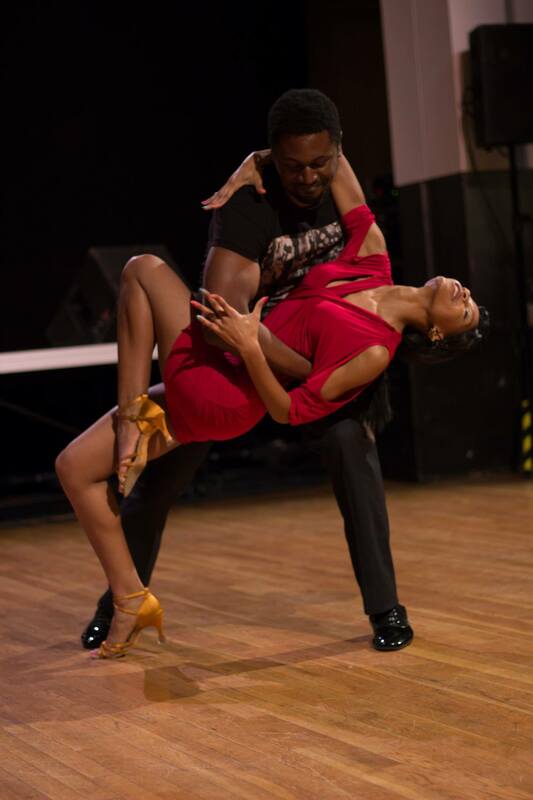 Every semester after Ballroom/Latin and Lindy Hop lessons have ended, we offer a number of lessons dedicated to leraning more social salsa dancing. There are two different tracks, the beginner into intermediate salsa and the intermediate into advanced Salsa. Each workshop in the track will build on the last one! However, feel free to jump into any lesson! More information will be posted mid-semester regarding the salsa workshops for Spring 2019. Each workshop will cost $10 for students and $15 for community members. None of these events are club specific so please invite your friends so you can show them how you spend your Tuesday and Thursday nights! You don't need a partner because we continuously rotate throughout the class, making it possible for everyone to dance with and meet new people. You should wear clothes in which you are comfortable moving around and shoes that do not stick to the floor. Many Team members wear ballroom shoes with suede on the bottom, though socks work just as well (and are much less expensive)!